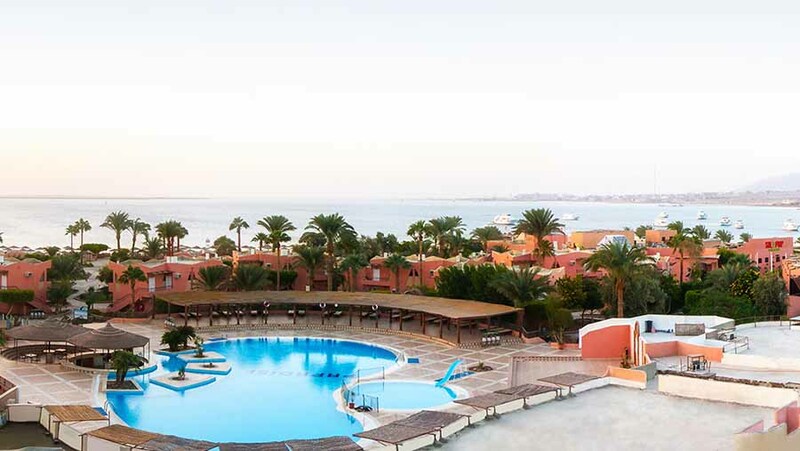 Sol Y Mar Paradise Beach is one of the finest four-star resorts in Abu Soma Bay Hurghada. 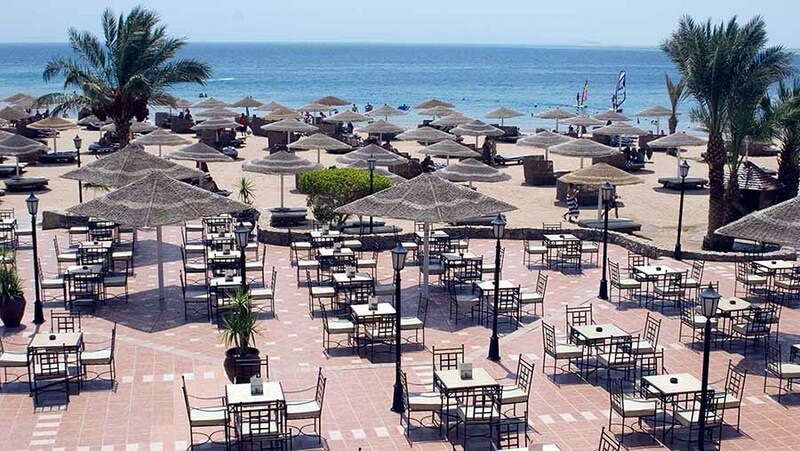 Located 50 km south of Hurghada and 40 km from Hurghada International Airport on its own virgin sandy beach, it overlooks a tranquil bay on the Red Sea. 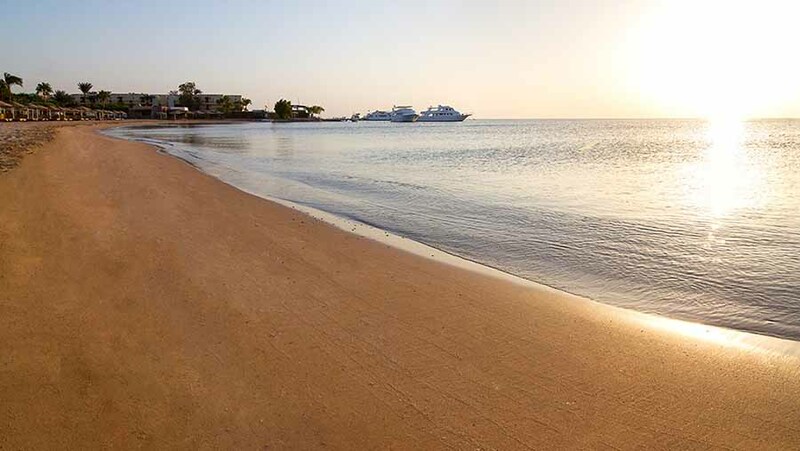 Abu Soma Bay is renowned for its natural beauty, lovely beaches and extraordinary underwater world. 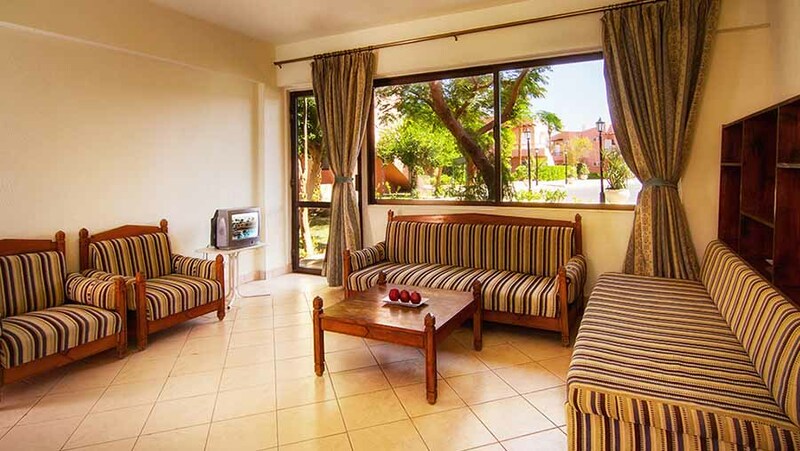 You can relax and enjoy a perfect Egypt holiday in comfortably appointed and spacious rooms that all have views of the sea, the pool or the well kept and lush gardens. Enjoy fine dining on the water's edge or sample a cocktail on the terrace under the moonlight. 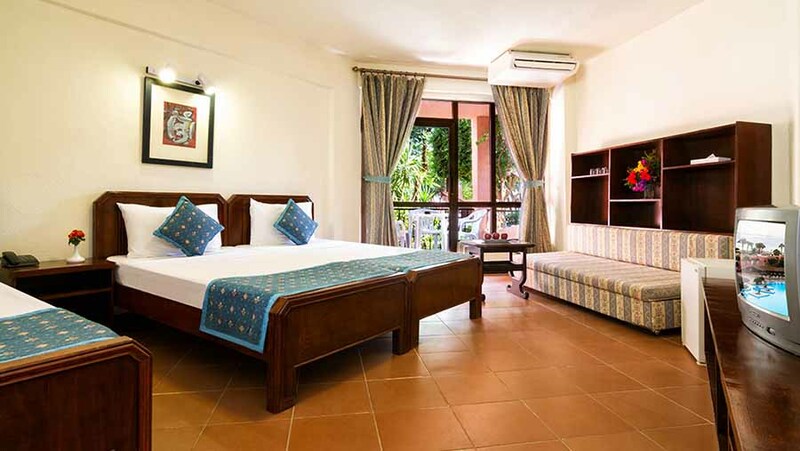 For more active pursuits, resort facilities include the Octopuss Disco, a fully-equipped health club, a water sports centre managed by a professional multinational team and a variety of playgrounds as well as an organized Kids Club and lively animation team. Caring and attentive staff deliver a professional service with traditional Egyptian hospitality making Sol Y Mar Paradise Beach truly up to its name. 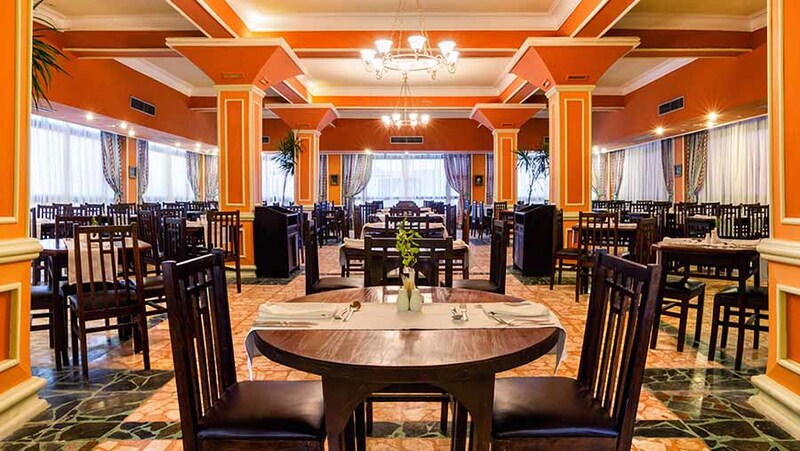 Hotel facilities include full reception and 24 hour concierge services, two al la carte restaurants and a buffet restaurant, three bars and a pub. Travel and excursion services are available through the hotel as is a limousine service. 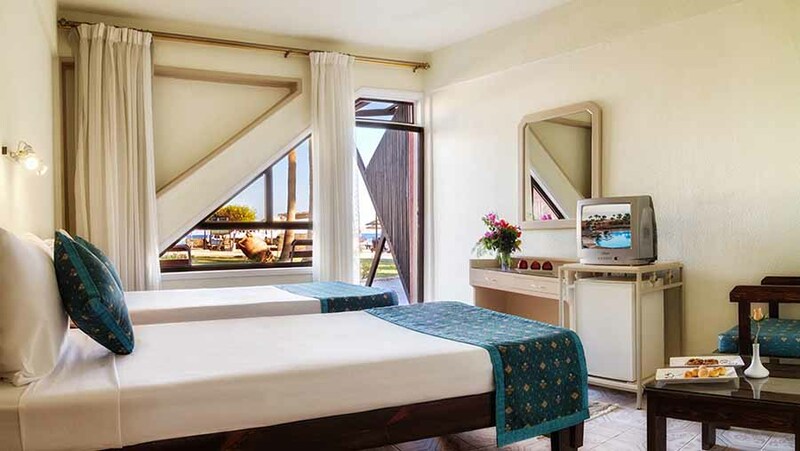 A fully equipped and professionally staffed water sports and Diving Centre is on hand as well as a Health Club and the Aroma Vera Spa offering massages, sauna and Jacuzzi and even a hairdressing salon (for an extra charge). 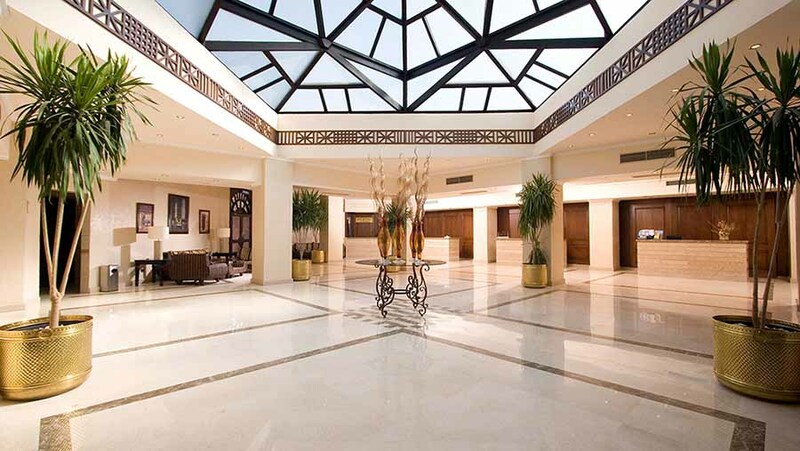 Internet services are available in the lobby and for guest’s peace of mind an on-call doctor is also available. Le Chateau is the main restaurant serving lavish buffets with worldwide favourites for breakfast, lunch and dinner. The various buffet spreads feature live cooking stations and theme nights offering delicious dishes from around the world. Pizzeria Bella Napoli a genuine Italian atmosphere serving up all kinds of pizza baked in a traditional wood oven. Lobby Bar Paradisio elegant bar offering all kinds of drinks on an all-inclusive basis in a classic style. 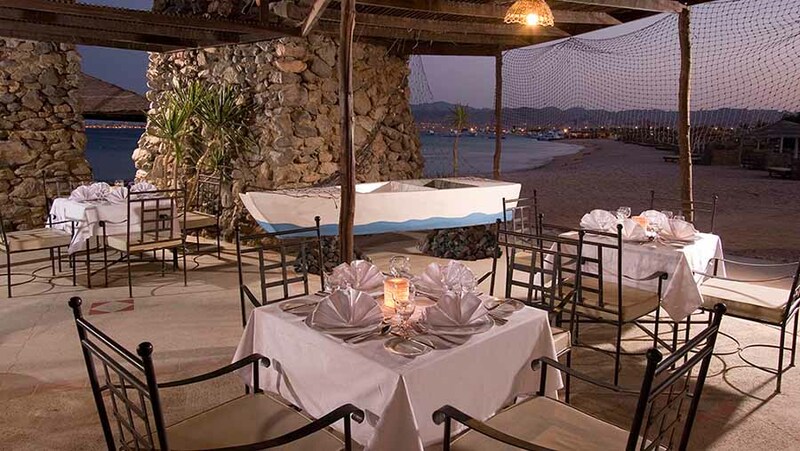 Fish & Snack Restaurant: Diving Restaurant overlooks the sea and tempts with a selection of refreshments, light meals and seafood. 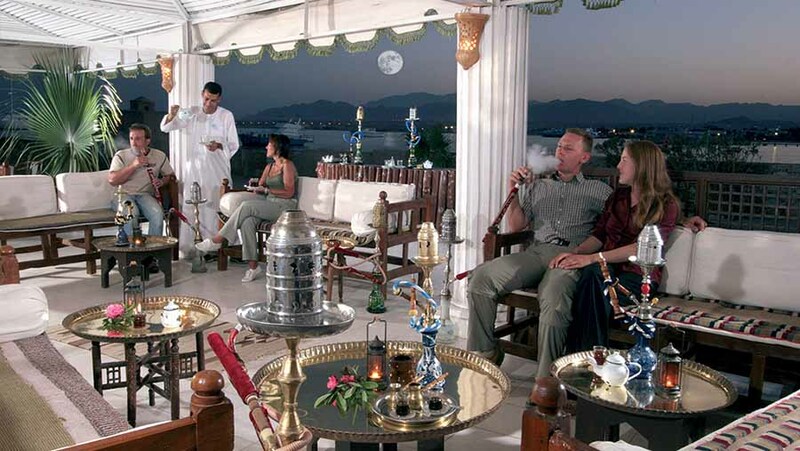 Oriental Café: El Shisha an outdoor café where you can enjoy a water pipe (shisha) in a genuine Arabic atmosphere. View Bar recreates the romantic atmosphere of sophisticated soirees on the famous love boat. Beach Bar allows you to enjoy the wonderful sea view while sipping your favourite drinks. Lounge Bar is open 24 hours on an all-inclusive basis serving drinks and cocktails in a stylish, classic atmosphere. Pool Bar refresh and relax at the pool with cooling drinks & snacks. Those feeling more active can indulge in an aerobics workout at the gym, go horseback riding or explore the inland mysteries with a quad bike. If you are feeling even more adventurous, head offshore for a fascinating diving excursion. When you return, pamper yourself with a soothing massage at the resort’s Spa or unwind with live music, dancing and cabaret at the hotel's theatre performed day and night or get your boogie on down at the Octopuss Disco until the early hours. The Kids Club is open daily. Children aged 4 to 12 are well supervised and entertained, courtesy of our dedicated animation team. Organized activities and children's play areas, including heated children's pools, ensure that your kids are happy at play for hours on end. Baby sitting services are also available on request (charged extra).